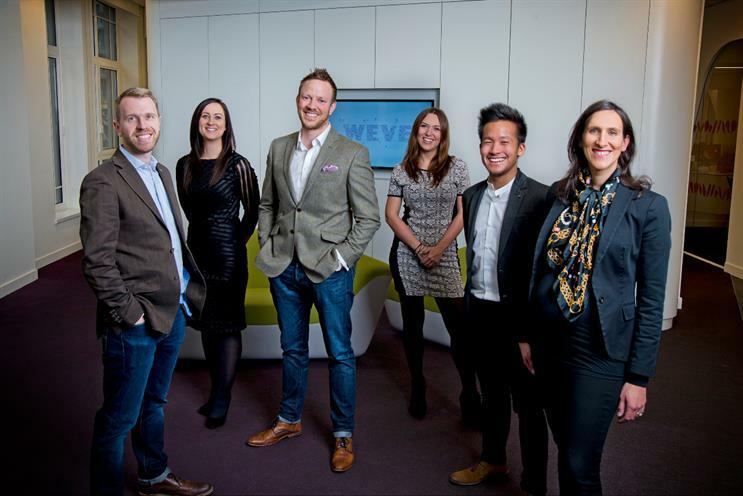 Weve, the mobile specialist, has announced a raft of new hires and promotions under its commercial director, Nigel Clarkson. After two years at Weve, Tom Pearman has been promoted to sales director and moved to an overarching role overseeing both client and agency sales teams. The move is designed to help ensure continuity and build on the opportunity for brands and agencies to develop and evaluate new mobile ideas and innovations. Pearman will report to Clarkson and manage three agency group heads and a client and brand group head. In addition, Hannah St Paul has joined from JCDecaux as one of three group heads to lead the Group M team. St Paul joins the existing group head Katie Batchelor and newly promoted Keren Blackmore. Both Batchelor and Blackmore joined Weve from O2 Media. In a similar move, John Finlayson has also been promoted to the role of client and brand group head, replacing Pearman and leading a team of five industry and client experts. The restructure has also seen the research and marketing teams being brought together and centralised under the control of Nigel Kwan, the former Microsoft, News International and PHD strategist, as the newly appointed group head of marketing and research. The changes in the commercial team have been made in conjunction with a series of senior hires to Weve's management. These include Rajeev Bector, the chief technology officer, who joined from Yahoo, and Richard Shamsi, the chief financial officer, who joined from DMGT. Tim Hipperson, the interim chief executive of Weve, said: "At the heart of any company are its people, its most important asset. The promotions and changes we have made in the commercial team and the new senior hires we have put in place not only broaden the experience and depth of knowledge in the management team but reward our existing talent and put the commercial team in an incredibly strong position for Weve to have a great 2015." The hires come as Weve forms a new partnership with Electoral Commission in an attempt to get more young people to vote ahead of this year’s general election. A mobile-specific ad campaign, commissioned by the Electoral Commission and powered by Weve, is the first of its kind in the UK. The aim is to remind people that they need to be registered by 20 April in order to vote on 7 May. This year, people can register online using their handsets for the first time. There are an estimated 7.5 million eligible people who are not correctly registered at their current address – equivalent to the population of Greater Manchester, West Midlands and West Yorkshire combined. Michael Abbott, the head of campaigns at the Electoral Commission, said: "Registering to vote is now easier than ever. For the first time in the run-up to a General Election, people can use their smartphones to go online and register to vote, so it makes sense to use that same technology to remind young people they can do this. We know young people are less likely to be registered to vote than older people, so it’s vital that we use innovative methods to communicate with them." Oliver Mountstephens, the digital display manager at Carat, said: "With this being the first general election where online registration is possible, all digital platforms form a crucial part of our strategy and mobile is no exception. Being able to use Weve’s vast amounts of data allows us to accurately target one of the key under-represented segments of the population and we are expecting to see an uplift in 18- to 24-year-olds registering to vote as a result."